The Sweetland Digital Rhetoric Collaborative, University of Michigan Press, and MPublishing are thrilled to announce that Daniel Anderson, Professor of English at University of North Carolina at Chapel Hill, is the inaugural winner of the U-M Press/Sweetland Publication Prize in Digital Rhetoric for his long-form webtext Screen Rhetoric and the Material World. 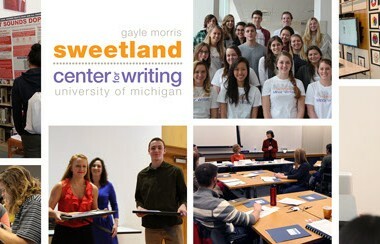 Look for publication of the project in 2014 from the Sweetland Digital Rhetoric Collaborative Book Series and U-M Press. 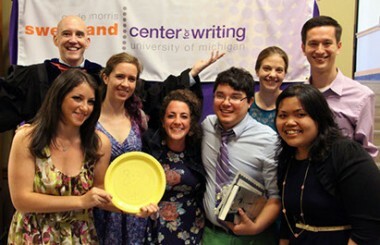 The U-M Press/Sweetland Publication Prize in Digital Rhetoric, which is funded by the Sweetland Center for Writing, is awarded annually to an innovative and important born-digital or substantially digitally enhanced book-length project that displays critical and rigorous engagement in the field of digital rhetoric. The prize is open to scholars of all ranks and comprises a $5000 award and an advance contract for publication in the Sweetland Digital Collaborative Book Series.